Day of the Dead (1985, USA) is a Zombie film directed by George A. Romero. Production Co: Dead Films Inc. | Laurel Entertainment Inc. | Laurel-Day Inc. Prepare yourself for the darkest day of horror the world has ever known! The darkest day of horror the world has ever known. First, he brought us the most frightening film ever made. Then he took his unique version of horror one step further. 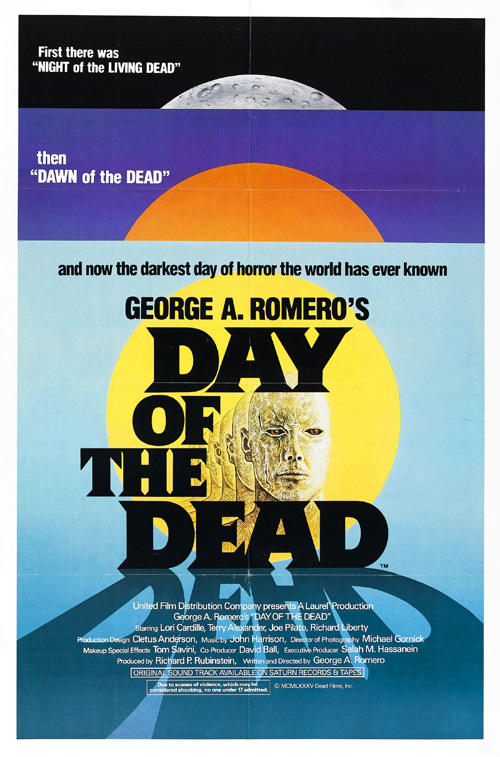 Now, George Romero takes us out of the night, beyond the dawn, and into the darkest day of horror the world has ever known. This page was last modified on 3 January 2019, at 14:42.